Bion-M is the next generation of russian biological research satellites. 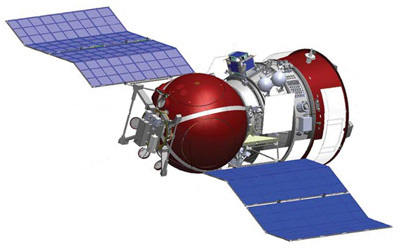 While retaining the Vostok/Zenit-derived reentry module of the earlier Bion, the propulsion module has been replace by a Yantar type module, which provides maneuvering capabilities and longer mission support. The mission duration has been increased to up to 6 months by using solar cells for energy generation. The weight of scientific equipment has been increased by 100 kilograms. The first mission was launched on 19 April 2013. It returned successfully back to earth one month later on 19 May 2013. The second flight on a 30 day duration mission at a 1000 kilometer orbit is planned to launch in 2020.